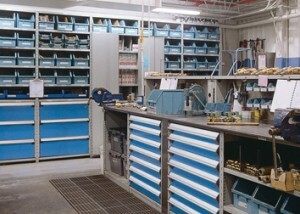 Our automotive storage products will ensure your parts and tools will be well organized and protected. Along with their strength and durability, these products provide a great amount flexibility, allowing you to have an adaptable work environment that your service department and auto technicians will benefit from. 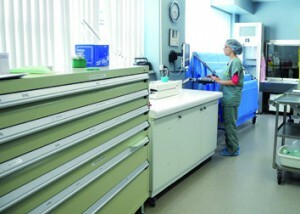 Whether your are storing very fragile items or regular bulk storage within hospital and laboratory environments, our products can help you find the “right fit” to your organizational needs. Our industrial cabinets and workstations are strong, durable, and easily adapt to your warehouse storage requirements thanks to a variety of accessories available such as: wire spool supports, tool rails, clothes-hanger supports, and more.